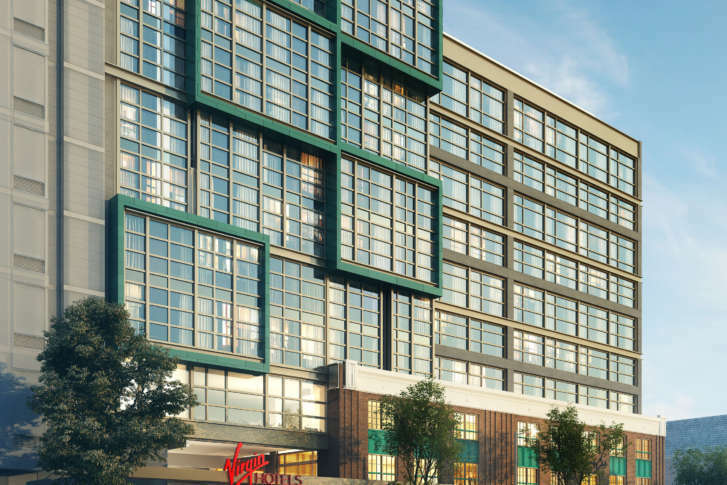 D.C. will be one of the first markets in the U.S. to have a Virgin Hotels, a lifestyle hotel brand by Virgin Group founder Sir Richard Branson. WASHINGTON — D.C. will be one of the first markets in the U.S. to have a Virgin Hotels, a lifestyle hotel brand by Virgin Group founder Sir Richard Branson. The hotel will be in Northeast D.C.’s Union Market neighborhood. It is expected to open in the fall of 2019. D.B. Lee Development & Construction and Brook Rose Development will develop the new property. The only other Virgin Hotels location right now, which opened in 2015, is in Chicago, though there are others on the drawing board including a location in San Francisco. The hotel will have 178 rooms, or what Virgin Hotels calls “Chambers and Grand Chamber Suites,” several restaurants and bars, a coffee shop, panoramic rooftop lounge with an infinity pool and multiple meeting and events spaces. It will also include art studios and an outdoor garden with sculptures from local artists. The hotel will be built at 411 New York Ave. NE. Other Virgin Hotels locations in the works include Dallas, Palm Springs, Silicon Valley, New York, New Orleans and Nashville. Virgin Hotels says it is also looking at other markets, including Boston, Miami, Austin and Seattle, and international destinations including Toronto, Montreal and London. The Virgin Hotels in San Francisco will open in early 2018. Its Chicago location was named the No. 1 Hotel in Chicago by Condé Nast Traveler’s Readers’ Choice Awards in both 2016 and 2017.